With over 30 years experience in manufacturing, installing, repairing and servicing all types of shutter & doors, outside & internal blinds we at Shade & Secure are fully committed to a high level of customer service offering good advice, on the right product, at the right price with excellent aftercare service. We are a caring, old fashioned company who believe in the treating the customer in the manner to which we ourselves would like to be treated and we believe that if we abide by this one golden rule we are on the right track. Shade & Secure offer free no obligation quotations, for all your blind and shutter requirements in Hull, East Riding, Yorkshire & Lincolnshire & Beyond, no job too small or too large for our time served installation teams, our services include Roller Shutters, Industrial Shutters, Sectional Doors, Garage Doors, Folding Arm Awnings, Dutch Blinds, Specialist Canopies, Vertical Blinds, Roller Blinds, Venetian Blinds and lots more besides. 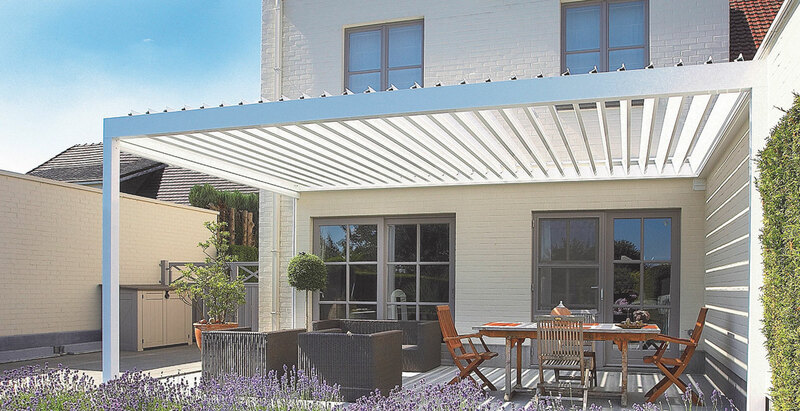 Extra shade for your home is a great reason for purchasing an awning on any part of your home to allow you to sit outside and enjoy al fresco dining. Alternatively, from a business point of view you can enjoy the same benefits as well as a means of advertising by simply adding sign-writing, vinyl printing a company logo, slogan, telephone number or website to attract customers, this is very popular in the thriving restaurant and cafe bar industries. When you are thinking about this aspect you will find that your premises is going warm at times when the sunlight is hitting it directly. However, if you want to keep it cooler you will notice that awnings will help to deflect the sunlight which allows yourselves and other customers to continue to enjoy eating and drinking outside whilst keeping cool in the summer or by adding heating and lights to an area that can be used all year round, even in the colder months. A great outdoor sitting area is something that can be enjoyed throughout the year and we have found that outside dining is proving very popular with people also adding outdoor dining sets to enhance the area. With our Awnings there is no compromise in strength or finish, you will always be guaranteed a product that has been built and tested to a very high standard, so much so that all our awnings can and are used in not just domestic but in many commercial environments such as shops, hotels, restaurants and bars with sizes up to 12m wide and projections up to 4m. With optional extras such as heating, lighting, wind sensors and retractable sides & fronts, you can create a comfortable outdoor environment that can be used for longer periods throughout the year. We feel that we offer all our customers the very best awnings available at the most competitive prices. When you are looking at different ways to improve your home or business it can be very difficult to do at times. At this point of time you ought to consider the benefits of having an awning installed by knowing information on these benefits. We are a company that offers free no obligation advice who manufacture and install our own Awnings and will discuss your requirements in depth and will be on hand to answer any questions or concerns from our initial site survey to order completion. 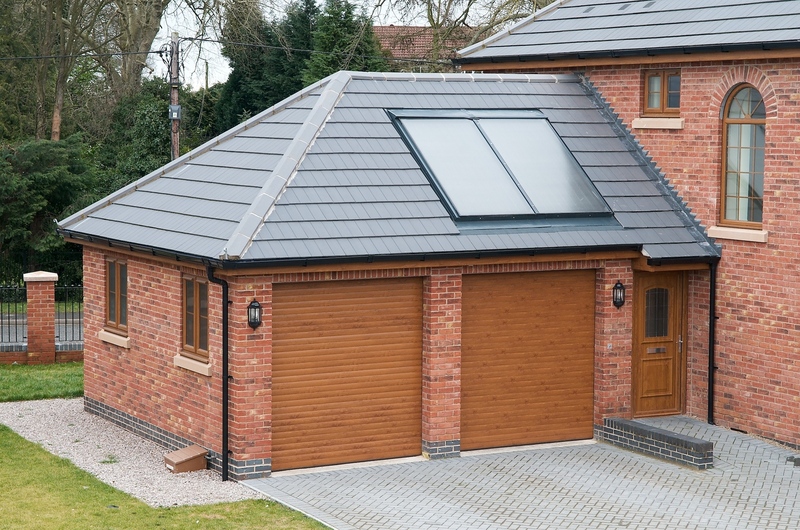 We can discuss and advise on our Awning range with each having their own benefits dependent on your requirements. 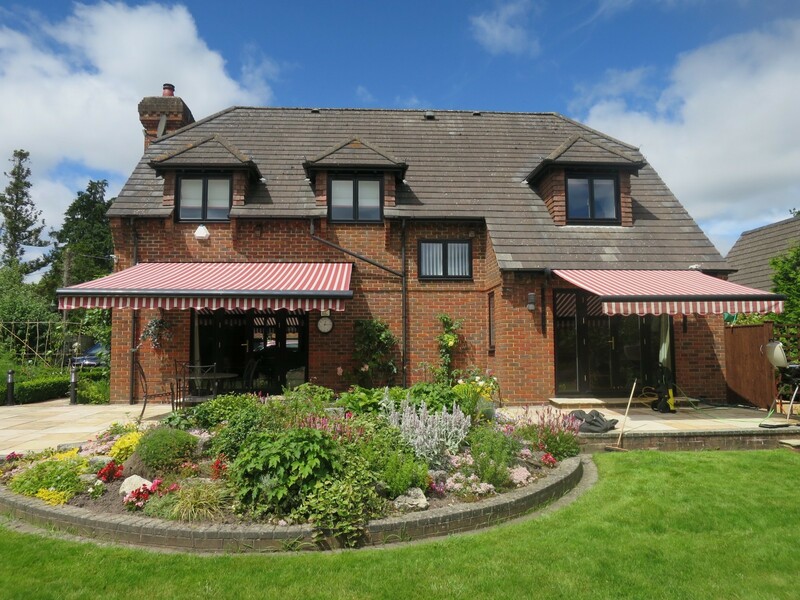 With 47 standard RAL frame colours and more than 150 fabric colours/patterns available we are sure you will find an awning combination to suit your home or business. We have online brochures for all of our products that can be e-mailed to you with just one click of the mouse for you to peruse at your own leisure, so if an Awning is on your to do list then why not get in touch for free professional advice from a company who complete the job from start to finish. 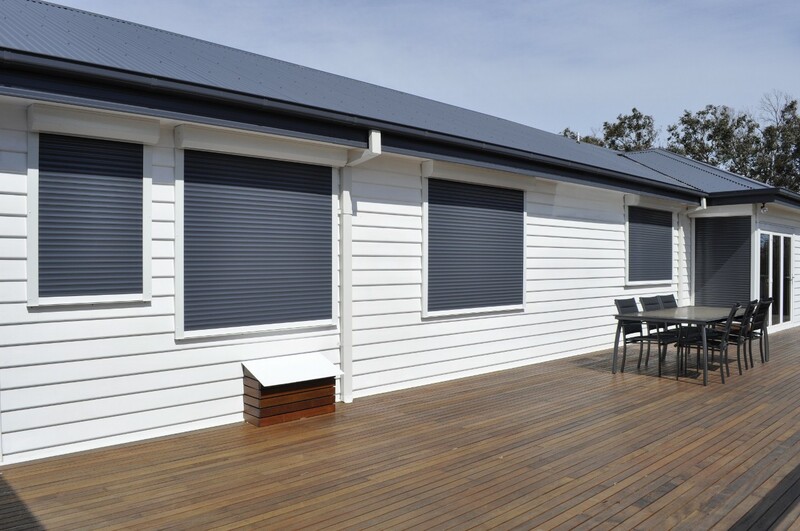 Roller shutters are strong, efficient and are suitable for a wide range of applications. This ranges from small security shutters to large industrial uses. These doors are both economical and robust which makes them one of the most popular types of industrial doors on the market. Size dependant, most roller shutters can be either a manual or electric operation but after a certain size and weight limit the roller shutter will have to be electrically operated and will always have some kind of emergency manual override system in case of a power failure. The range of controls available for operating a roller door are vast and ensure that in a commercial or industrial application the very best and safest control can be used for efficient daily use. When used for security purposes you have the choice of very high security access control methods such as finger readers, digital keypads, key-switches remote controls and so on. Roller Shutters are one of the most versatile door products available for access control to almost all sizes of opening and perfect for covering and securing doorways, windows and other apertures. The roller shutter door is always made to order and requires very little space above, outside, or inside any opening. There are over 50 different curtain slat types that can be used to construct a roller shutter curtain and all of them have different levels of strength, security, insulation and surface finishes available. Steel or aluminium are the two main materials used for the roller door curtain construction in single and double skinned profiles. The versatility of the roller shutter door means that options such as polyester powder coating and plastisol parts are readily available on the slats, guides and hood covers making perfect colour co ordination possible. Canopy covers and facias can be supplied to cover the shutter curtain and motor from inside or outside when there may be insufficient headroom internally or simply to keep the installation tidy and safe. Other options, such as perforated or punched lath, wicket gates (pedestrian doors), wind locking for extra strength and internal/external installations all help make the roller shutter very appropriate for almost every environment and application. Copyright © 2017 Shade and Secure, Website by Area Pages. All rights reserved.